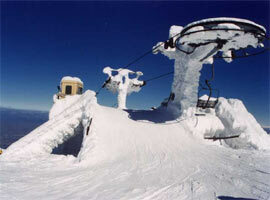 ﻿ Vitosha ski resort, Bulgaria. 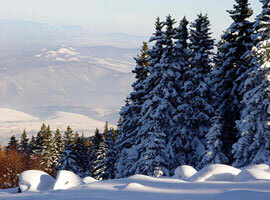 Bright sun, fluffy snow, wonderful ski runs, excellent hotels and cozy mountain chalets - you will find all this in the Vitosha Mountain. 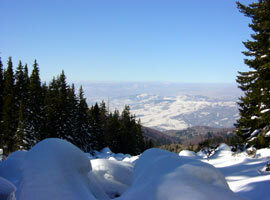 And in addition you'll have the opportunity to get involved in the spirited cultural life of Sofia, the capital of Bulgaria, to plunge into town's history of thousand of years, to feel the pulse of its night life. 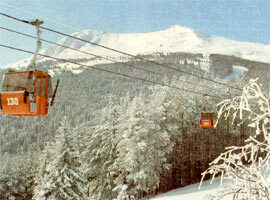 Aleko ski center is situated in the immediate vicinity of Sofia, on the Vitosha Mountain, at 1800 m. above sea level, on the north-eastern slopes of Cherni Vrah (2290 m) which is the highest Vitosha peak. 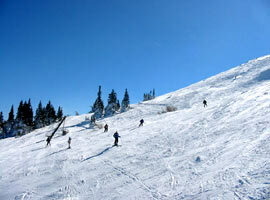 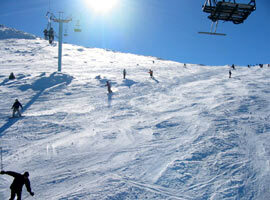 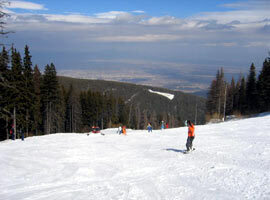 It's Bulgaria's highest ski resort, while being only 22 km distant from Sofia's center. 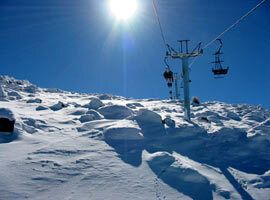 Snowing starts in December and is stable till late in the spring. 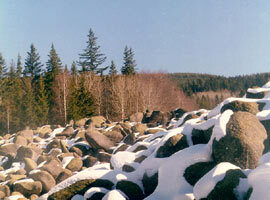 The snow cover reaches a thickness of 1,50 meters. 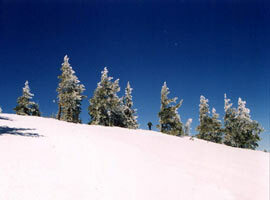 The duration of the skiing season is 120 days while the average temperature of the air during the coldest month, January, is - 6°C. 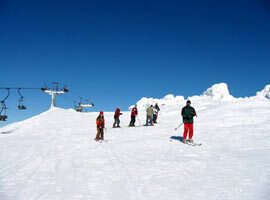 NAMES OF SKI RUNS - Laleto, Stenata, Zaeka, Spas, Magistralata, Zelenata.